The time between the Ardex NA Latex installation and the wooden floor was one or two days. 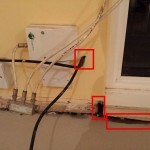 This time gap was not enough for the condensation to disappear and hence the “trapped moisture”. No gap was left on the edges of the floor. The drain outlet was draining the water in to the property rather than outside. See below the information from Rights Units Ltd. The holes on each side the windows frame were not filled with expansion foam. Apply a thin, neat line of cement (a fillet) around the joint with the wall to hide the foam. 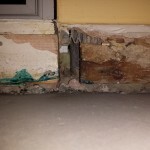 The condensation after the installation of the Arditex NA Latex was not dealt properly during the Spring 2013 installation of the wooden floor. This was clear from the November 2013 and January 2014 installations. Our investigation shows why. 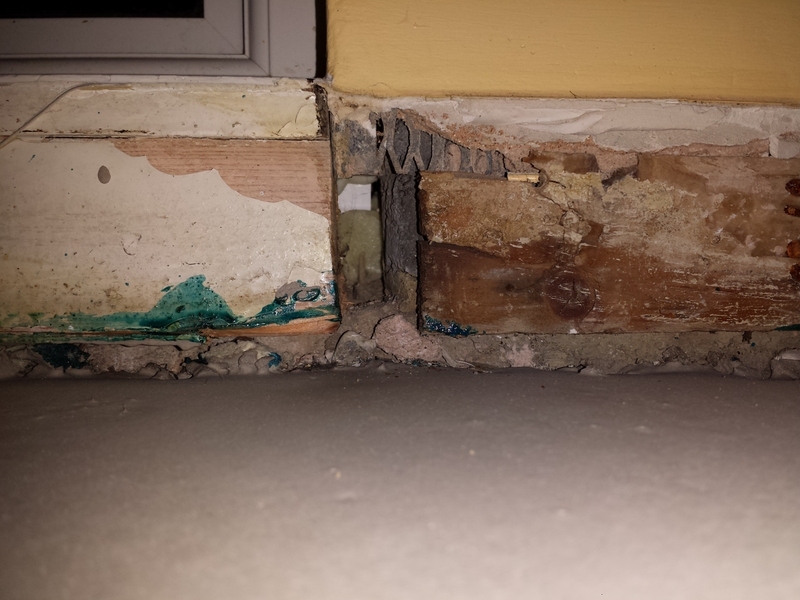 Look at the photos below that shows the holes as well as the water that entered the property via those holes. We attended site this morning with Gary from Rights Units, their installation manager. 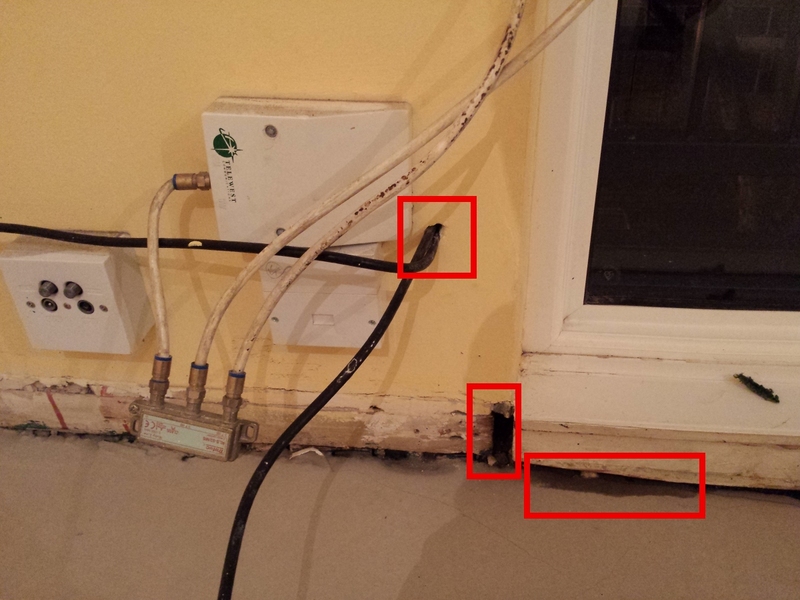 We were there to inspect the slight water ingress to flat on the lounge floor from the aluminium door/windows. I can confirm the fitting has been completed correctly and to a professional finish with silicone sealant as standard, around the whole of the frame. 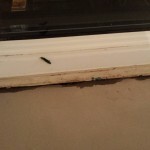 All windows and doors are not completely water tight and often let in heavy rain through the glass sealed units, where it then drains off through the factory fitted plug holes in the frames, through the tiny drain under the sill and the rainwater should then fall away from the framed unit. 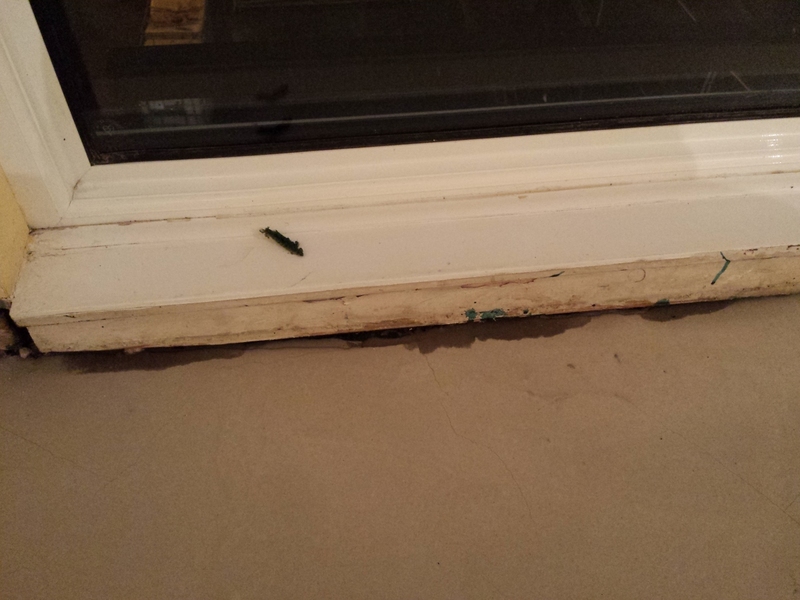 Upon further inspection we noticed the silicone sealant under the window sill had not been set back enough and the sealant had been applied in front of the small drain outlet which in turn stopped any rainwater from draining away from the windows/doors and caused it to fall back in to the property. We have removed the existing silicone sealant and re-sealed correctly behind the drain outlet. We believe that the issue has now been resolved.